Josie Quick (violin) and Tom Carleno (guitar) are Perpetual Motion. That is their band name however they are literally in perpetual motion from start to finish on their upcoming release Rear View. The combination of Josie’s progressive melodic violin playing and the gentle, rhythmic and Latin influenced guitar provided by partner Tom Carleno makes for sweet music. The broad strokes of sound painted on their musical canvas is the perfect marriage of sound, color, and vibrations. This all blends to become soothing and mind and mood altering sounds. This is all natural with no additives, it is acoustic world fusion with jazz added for spice and snap. So, sit down and enjoy a homemade recipe of music straight from the magical fingers of two very talented souls. Every track covers an eclectic mix of sounds with jazzy overtones placed in all the right spots. “Blind Man’s Bossa” is a good example of intermingling of genres reaching a full boil then flowing over the sides but oh does it taste so good. This is full of jazz tones and with addition of the violin it sounds progressively familiar channeling some of the greats such as Ponty and Ragsdale. “Northern Lights” was another track that touched my senses and gave me a shot of energy that was gladly accepted. The music made my heart and soul smile with the distinct pleasure that only great music can provoke from within, I knew that I was home again. Perpetual Motion has a lot of albums to their credit and this recording certainly has engaged me enough to explore their catalog further. Don’t be fooled by the fact that this is a duo, there is a lot going on in their music and plenty of production and instruments tied into the two main tools used to provide a listener with such blissful moments. 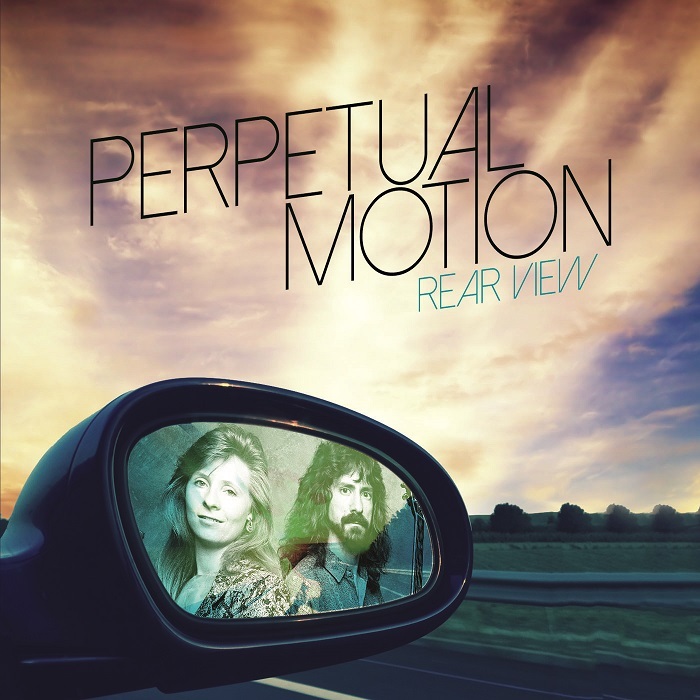 Have a look out your Rear View and see what Perpetual Motion can offer you through their music. It is sound and vision combined to form an artistic canvas that will surely be appreciated by world, new age, jazz and mainly instrumental music fans that require a refreshingly creative sound. It is like a gypsy dance and celebration that comes alive before your ears and mind’s eye. This is real music for real people so give it a good listen then tell me if you weren’t tapping your feet or dancing?